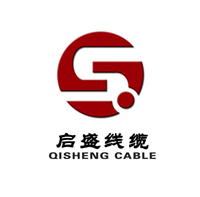 Product categories of High Current Cable, we are specialized manufacturers from China, High Current Cable, Pvc Insulated Copper Core Wire suppliers/factory, wholesale high-quality products of Bvr Electric Cable R & D and manufacturing, we have the perfect after-sales service and technical support. Look forward to your cooperation! The concept of strong electricity is relative to weak electricity. Strong and weak currents are separated by voltage. The working voltage is more than 24V AC is strong, and the following is weak. Strong wires generally refer to transmission wires with an AC voltage of more than 24V. Such as home lights, sockets, etc., the voltage is 110 ~ 220V. Strong wires can also affect nearby communication lines. The following describes the knowledge of strong wire protection. The frequency of strong electricity is generally 50Hz (Hz), which is called "power frequency", which means the frequency of industrial electricity: the frequency of weak electricity is often high frequency or ultra-high frequency, measured in KHz (kilohertz) and MHz (megahertz). Strong electricity is transmitted on transmission lines, and weak electricity transmission is divided into wired and wireless. The radio transmits electromagnetic waves. Strong electric power in KW (kilowatts), MW (megawatts), voltage in V (volts), KV (kilovolts), current in A (ampere), kA (kiloampere); weak electric power in W (watts) , mW (milliwatts), voltage in V (volt), mV (mV), current in mA (milliampere), uA (microampere), so its circuit can be printed circuit or integrated circuit composition. There are also high-frequency (hundreds of KHz) and medium-frequency devices in high-voltage power supplies, but the voltage is high and the current is large. Due to the development of modern technology, weak electricity has penetrated into the field of strong electric power, such as power electronic devices, wireless remote control, etc., but these can only be regarded as the weak electric control part in strong electric power, and it is still different from the controlled strong electric power. According to the basic principle of weak electricity transmission signals and strong electric conduction, we can easily distinguish between strong electricity and weak electricity. For example, although electric shavers, flashlights, etc., use only two dry batteries (3V), we cannot think that they are weak because the voltage and current of the appliances are small, because they conduct electricity rather than signals, so they should be classified as strong. class. High voltage must include strong electricity, and high voltage does not necessarily belong to high pressure. Low voltage is not necessarily strong, and strong power is not necessarily low pressure. Strong electricity generally refers to the mains power system\lighting system and other power supply and distribution systems, including air conditioning lines, lighting lines, outlet lines, power lines, high-voltage lines and the like. There are two types of weak electricity: one is the state-designed safe voltage level and control voltage and other low-voltage electric energy, and there are AC and DC points, such as 24V DC control power supply, or standby power supply for emergency lighting. The other is information sources that carry information such as voice, images, and data, such as audio, video lines, network lines, and telephone lines. DC voltages are generally within 36V. Electrical appliances such as telephones, computers, televisions (cable television lines), audio equipment (output lines), broadcasting systems, and building automation (such as access control and security) in household electrical appliances are all weak electrical equipment. In power systems, voltages below 36V are called safe voltages, voltages below 1kv are called low voltages, voltages above 1kv are called high voltages, and lines that directly supply power to users are called distribution lines, such as user voltages are 380/220v, It is called a low-voltage distribution line, which is the strong electricity in home decoration (because it is the highest voltage for home use). Strong electric generally refers to direct current voltage above 24V. Such as home lights, sockets, etc., voltage 110V ~ 220V. Electrical appliances for home lighting, electric water heaters, heaters, refrigerators, televisions, air conditioners, audio equipment, etc. are all electric equipment.